Straight 8 is invites people to make a short film using only 1 Super 8 film cartridge. The other rules for Straight 8 are that the film maker cannot edit the Super 8 film. we believe in doing stuff. get it out. learn. move on. do more. straight 8 began in 1999 when a bunch of people accepted a challenge to make a short turnaround, no budget, three minute film on a single cartridge of super 8 without editing, but with a cinema audience guaranteed. 25 people: directors, producers, runners, d.p.’s, editors, writers, actors, a d.j, a cinema manager and various others braved the challenge. it was bold and it was loose. there was no expectation. over time straight 8 grew and great things have happened — like our annual event at cannes and screening in great cinemas and even on tv. the experimental spirit is still there but the films started becoming a lot more polished and clever. and more and more people have joined in — close to a thousand straight 8’s have been made now. that’s a lot of stories that might still be in heads or on paper but are now in the can and that makes us smile. when asked what we look for when we select films we don’t really know. you don’t know what you’re looking for till you find it. we know they’ve got to entertain and engage the audience. the films we choose — especially for cannes — have a really strong sense of direction. they know what they are and where they’re going. they grab the audience early on and the take them with them, sometimes through twists and turns, but the whole way. we’re proud of the level playing field that is straight 8. the newbies take on the big boys and girls. and it’s not just filmmakers that play. some of the best straight 8’s have been made by an economist, a heart specialist, a florist. in 2008 malcolm finlay, a cardiologist from london, entered straight 8 for the second time. well the third. the year before he’d entered twice — against our advice. both his films didn’t make it to any of our screenings. we offered feedback as we do to all films we don’t select. just our opinion but straight up and no holds barred. he took that on board and came to all the london screenings, met the successful filmmakers and in 2008 was phorensic about how to make a great straight 8. check out ‘the last trip’ on this site. it played to cannes and to 1 million viewers after the news on channel 4 in the uk — all without malcolm seeing it first. that really makes us smile. there’s a superb ‘making-of’ too that’s on our 2008 dvd. don’t say you haven’t got a camera if you mean you haven’t got an idea (yet). something we hear a lot is — [despondent] ahhh i don’t know where to get a camera. believe us, if you’ve got a good idea for straight 8, talk about it and super 8 cameras will start coming out the woodwork. or the internet. we plan to be here for a very long time. it started as a thing to try, became a ‘monster sideline hobby from hell’, and is now a little self-fulfilling enterprise that keeps one person engaged full time in our secret ‘shedquarters’, in a garden in north london. so if it’s not this year, maybe it’ll be next. and that’s fine. of course, our advice would be do it now. there are always a load of reasons not to do something and about the best reason to do anything is that there isn’t one. we love the diversity of films we get back to the shed each year. it’s a huge privilege being first to view all this amazing work. the more people who enter from more far-flung places and varied walks of life, the more mind-bogglingly awesome a selection films we get to unleash on the world. more questions? 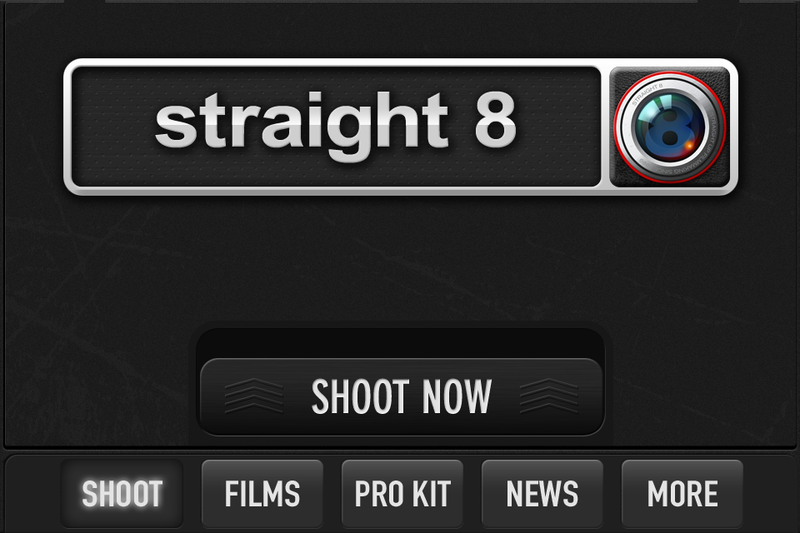 Please visit the Straight 8 website.